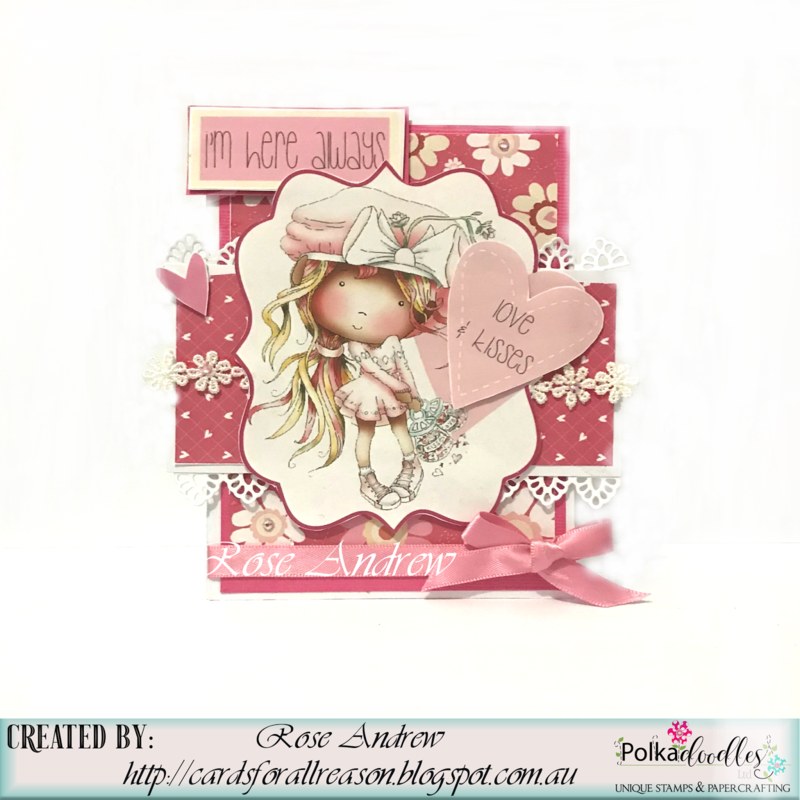 Work-Play-9-Love-Kisses Digital Craft Collections, it is a pre-coloured image from the designer sheets 9-06, I have cut the circle and used all the other embellishment from the pack ..finish off with nuvo drops. Ine - I decided to use Helga Hippo. Paper is from the Work & Play 9: Love & Kisses Collection. Yvonne - For animal week, I used the sweet collection of 'Too Cute' which you can find here. I opted for monkeys and the first wee monkey I used was 'Bananas About You' which you can see here. 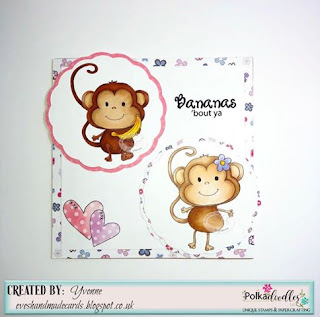 I then teamed him with 'Silly Monkey' which you can find here. I made a 7x7 card using papers from the Digikit 'Berry Crush'. 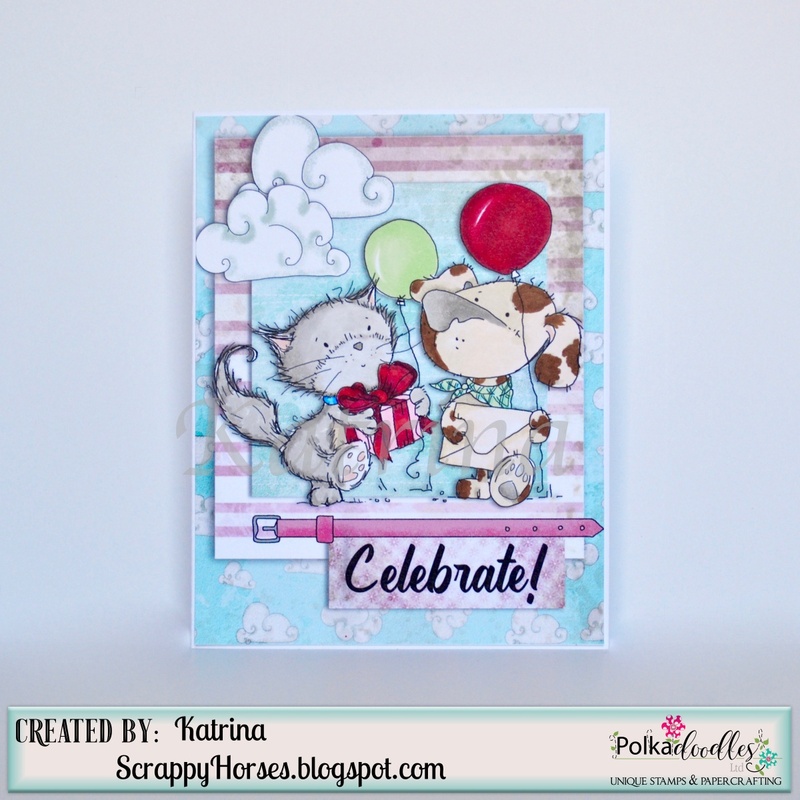 Katrina ~ My favorite animals, outside of horses, are cats and dogs so I had to turn to the fun and furry Horace & Boo Bundle. I used a black and white digi along with some PRE-COLORED pieces to create the card. 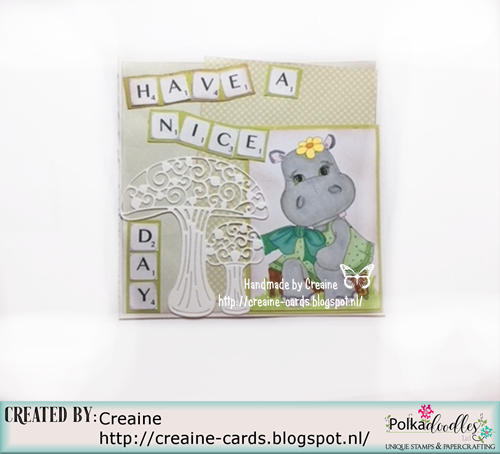 Jane P- This week I used the Horace & Boo Big Kahuna collection and used all pre-colored images. 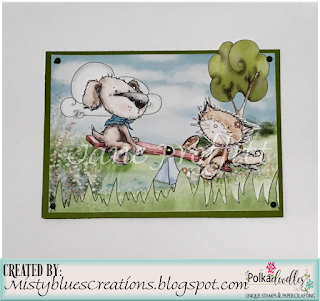 Isn't this just the cutest collection for all those cat and dog lovers out there! Notice that subtle teeter totter change? 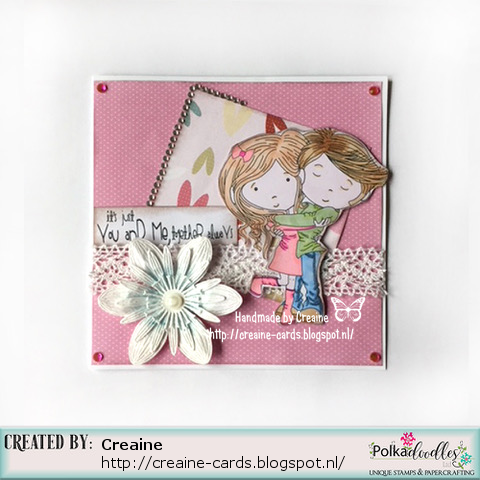 Julie T: With Valentines day right around the corner, I chose to make a "Love" card. I used Winnie Sugar Sprinkles, Love You Mom. 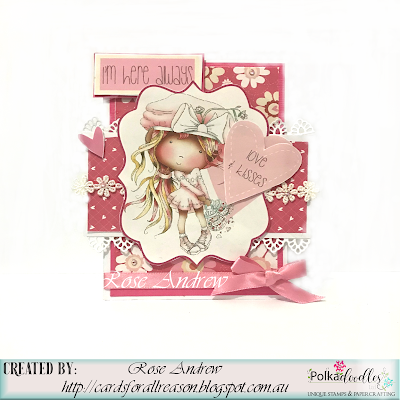 The sentiment is from the Love and Kisses Collection. 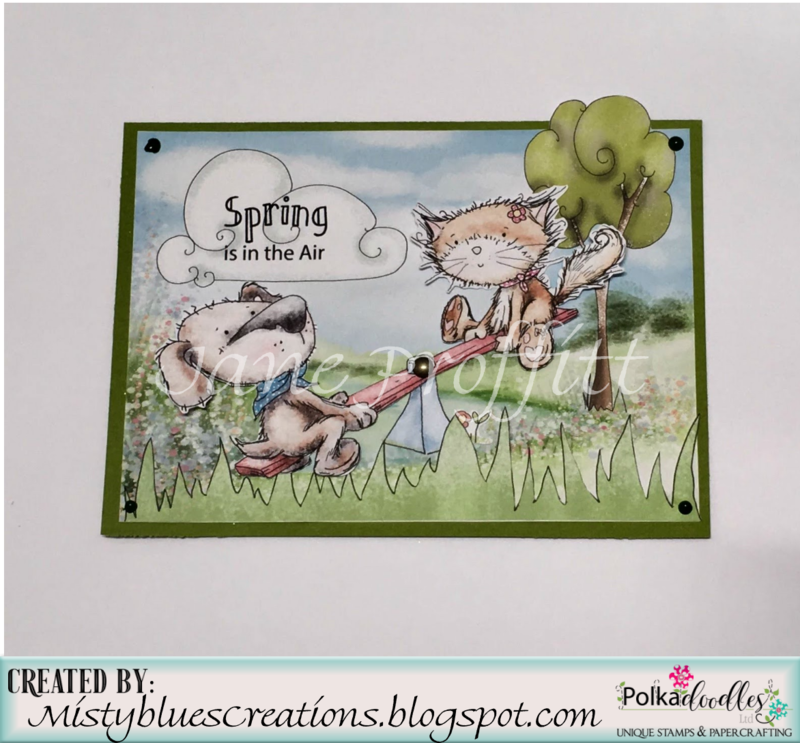 The paper is from Winnie Sugar Sprinkles Heaven 4 paper bundle. 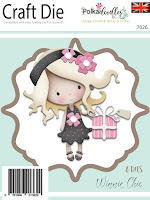 Julia Hi All I have made a card using the Horace and Boo collection ... wow the papers in this collection are LUSH!! ... 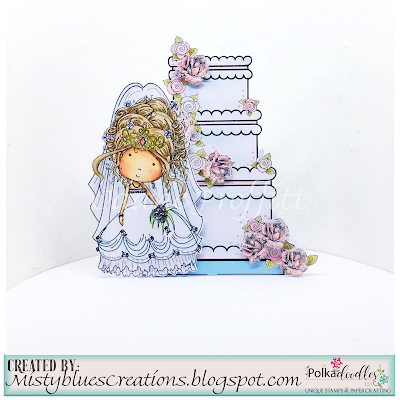 I have used a pre coloured image, and gorgeous florals from the kit, to make a fabulous dimensional card! 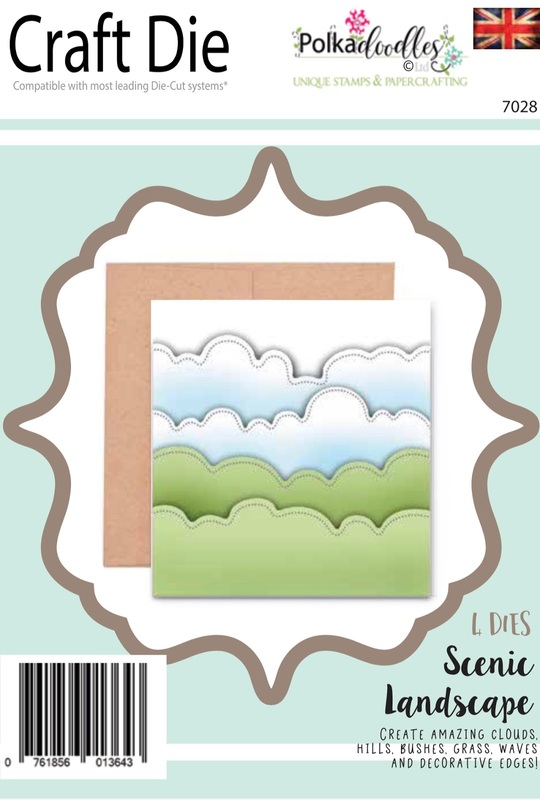 I have also added some clouds using the Fluffy Clouds dies. Claims must be received by 02/01/18, please refer to Challenge rules at top of blog. 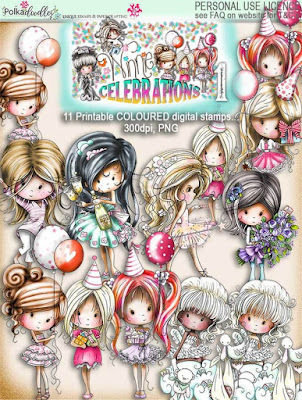 Please email us HERE quoting DCW020001 to claim your prize of 3 digi images from the digi store! 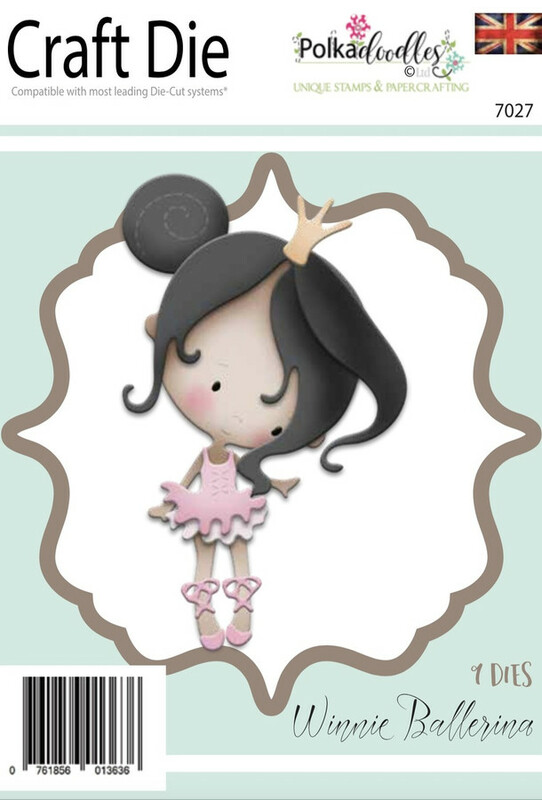 Erika - For my card of the week I decided to use these lovely pre-colored Digi. 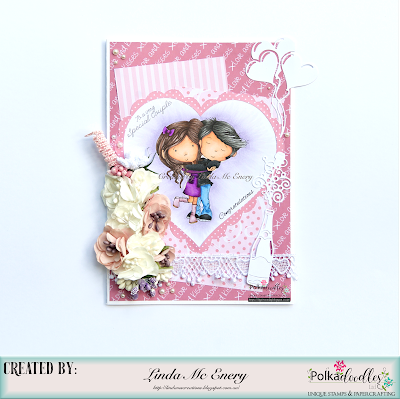 I stamped the papers, some elements like alphabet and the main subject from the collection Work & Play 9 Love & Kisses and some embellishments from the Helga collection. 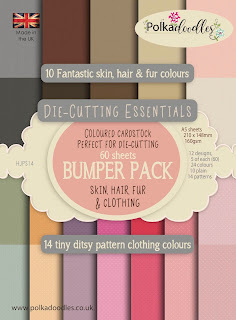 Gina - I have used one of the lovely design sheets out of the Work & Play 9 Love & Kisses collection. 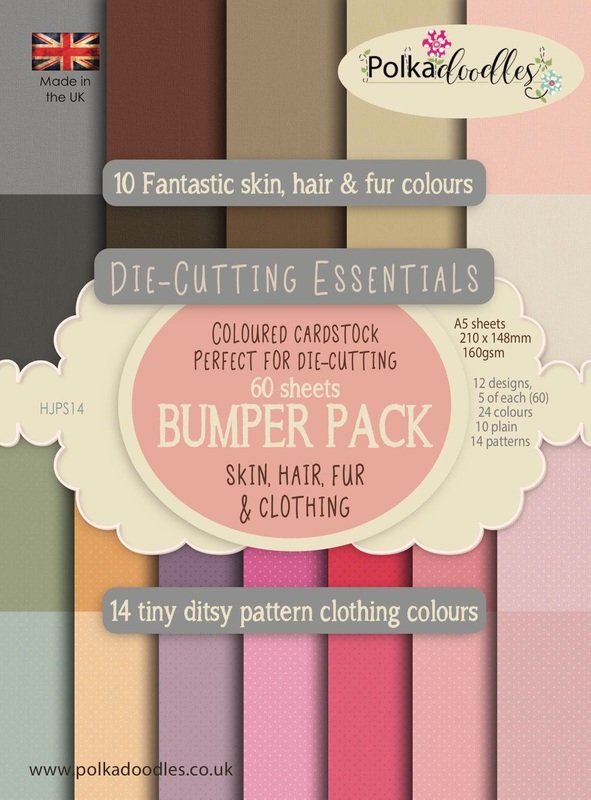 It is an all-in package with design papers, images, embellishments... All fitting perfectly together! 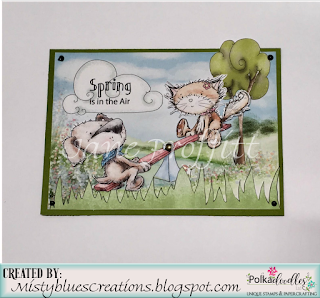 The flowers I have added, I have created with a little hearts die, like this they look just like the ones in the design paper. Julie - I have used 'Cupid' from Work & Play 9 Love & Kisses to make a Valentines card for my Hubby. 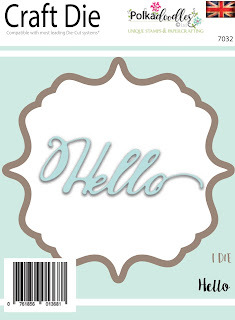 I have also used some of the lovely new dies 'hello', 'Clouds' and 'Stitched Circles'. My image is coloured with Copics & Graph-It markers. Jane S - So Winnie is finally getting married!! 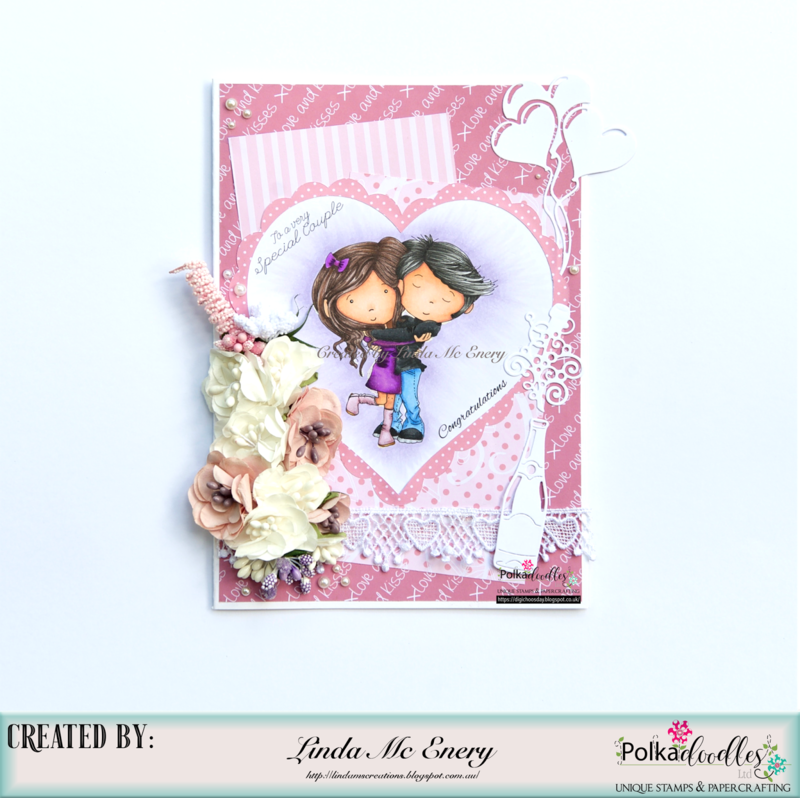 I have used the fabulous new Winnie Dies to create our 'happy couple' and digital elements (paper, pre-coloured car and sentiment) from the Work & Play 9 Love & Kisses Collection. 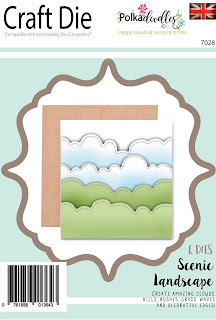 I have also used the Fluffy Clouds Die Set and a banner from Winnie Celebrations. Claims must be received by 26/01/18, please refer to Challenge rules at top of blog. 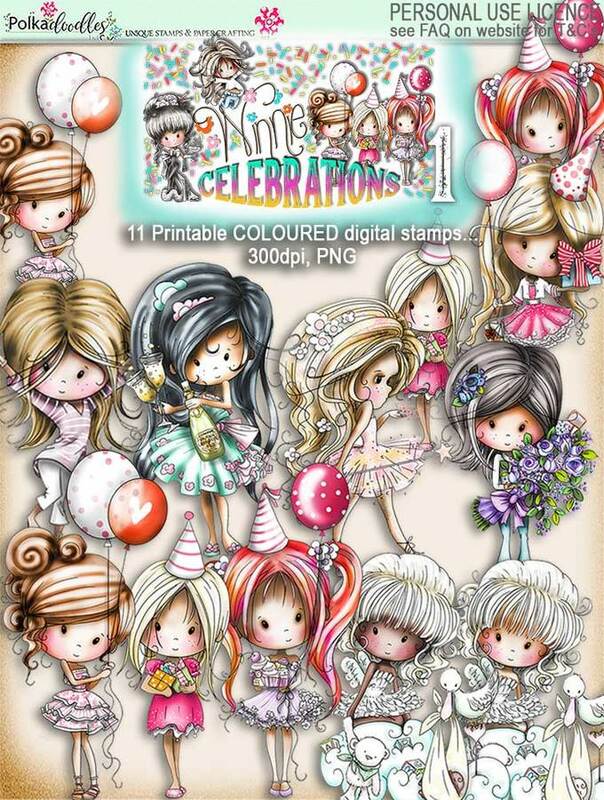 Please email us HERE quoting DCW010001 to claim your prize of 3 digi images from the digi store! 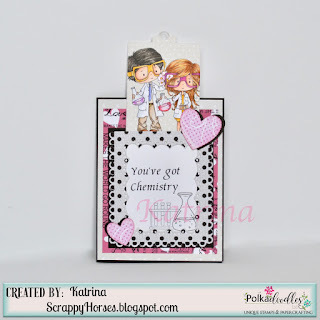 Katrina ~ I have used the Science Geeks from Work & Play Collection 12 which is just too perfect for my sister and her new beau! She is a science teacher and he works in a lab! 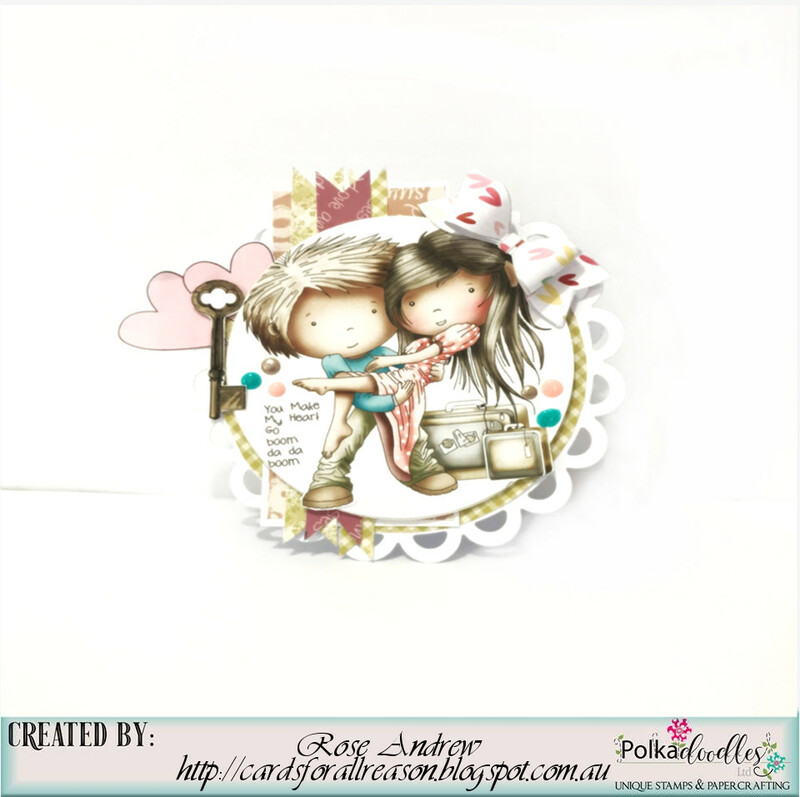 I combined it with papers from Work & Play 9 Love & Kisses and Octavia to create this romantic slider card! 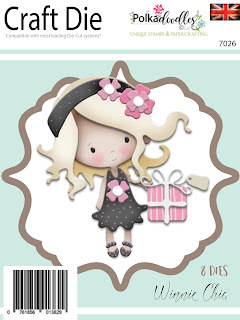 Julie T I have used Cupid from the Love and Kisses Collection. I also used 5 different papers as well as the sentiment tag from the same collection. 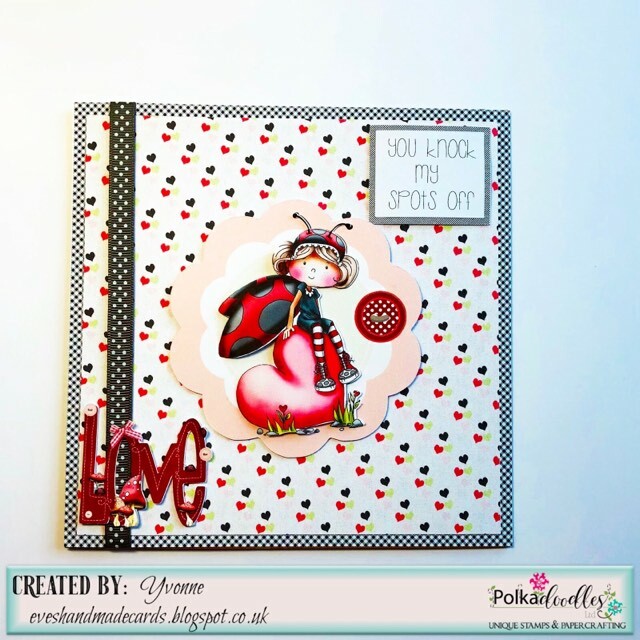 Yvonne - I used 'Lily Bug Love' Collection which you can see here. On the link I just gave is the overview of all the elements and selections of what is on offer, you can buy the CD-Rom, download the whole digi kit or just buy separate images, paper bundles or elements. 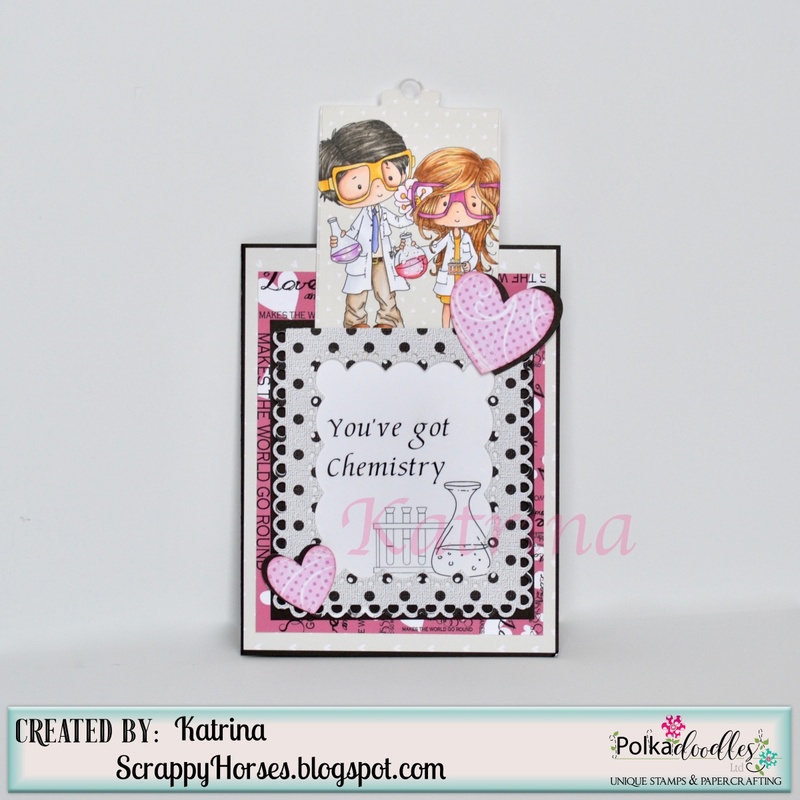 I made a 7x7 card and everything I have used, with the exception of the ribbon, is from the main kit. I used the precoloured image of 'Lily Bug Love Big Heart' which is available as a black and white digi here. Jane P - What better way to celebrate "Get Romantic" than with the Work & Play 9 Love and Kisses Collection. I used the Wedding Cake Template and gave the bride a touch of color with Copics. Rose As we always love to hear these words from our love one ... "I'm here Always"
and I have worked with designer sheets : dc9-04.The sentiments are part of the pack so are the background paper . I just loved how quick and easy it was to create . 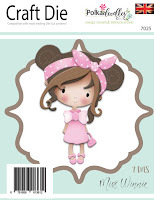 Just added ribbon and lace to girly it up a bit . Claims must be received by 20/01/18, please refer to Challenge rules at top of blog. 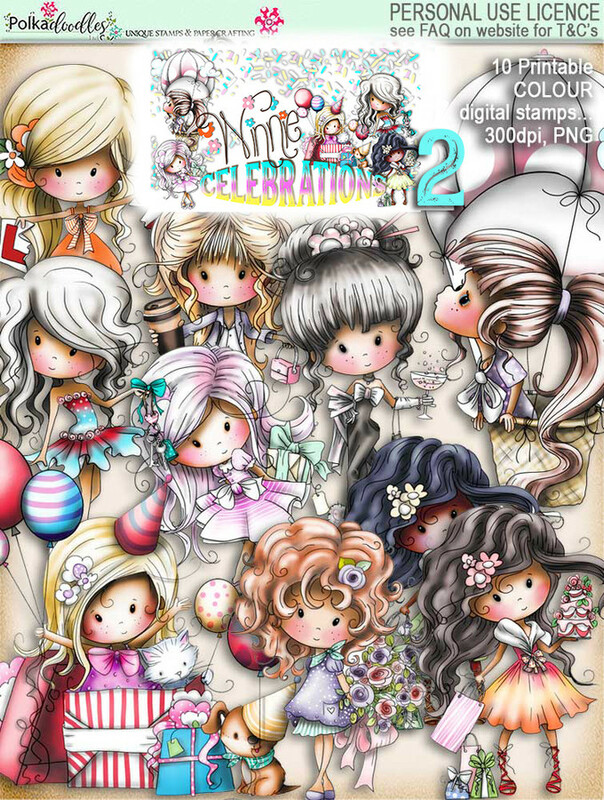 Please email us HERE quoting DCW510001 to claim your prize of 3 digi images from the digi store!